Department store chain Karstadt has confirmed that it will sell the Apple iPhone when it goes on sale in Germany later this year. "We will offer the Apple iPhone," a Karstadt spokeswoman told Reuters , confirming a report due to be published in German weekly WirtschaftsWoche . The spokeswoman added that Karstadt hoped to have the phones in stock in time for the Christmas shopping season. The department store would not say whether the Apple iPhone would be sold with or without a contract. Apple has kept schtum on how it plans to sell the Apple iPhone in Europe, and which operator/s is/are going to get the coveted contract. 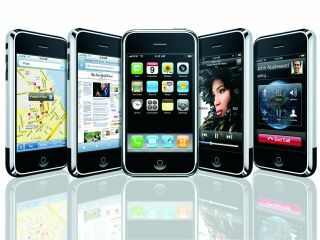 Apart from that the Apple iPhone will launch in Europe in late 2007, not much else has been confirmed by Apple. Various rumours have named most European mobile operators - including O2 and its parent company Telefonica, as well as Vodafone and T-Mobile - as potential candidates for the Apple iPhone contract. The question is whether Karstadt's announcement paves way for the Apple iPhone to be sold in UK department stores too, and in that case, which one/s?